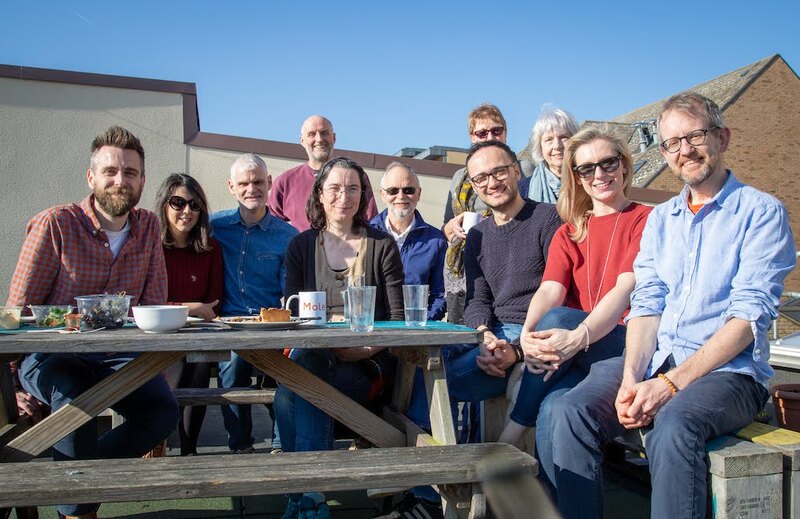 Another glorious sunny day, another successful Suvana workshop with home-made lunch on the balcony at Mole Architects – we’re beginning to think this project is blessed! 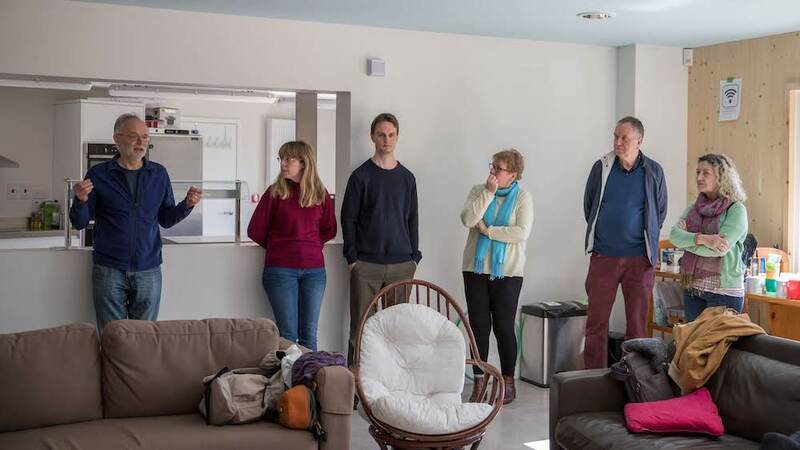 On Sunday, 24th March, fifteen members had a great day, exploring the K1 Marmalade Lane cohousing project in the morning, and then after the lunch working on what we had learnt from the visit and how we might reflect this in our future development. Marmalade Lane is the first co-housing development in Cambridge, and was completed a few months ago. At Suvana we are fortunate that two of our Board members – Shubhanaga and Ian Collins – were involved in making Marmalade Lane a reality. The visit to Marmalade Lane was both inspirational and educational. Project Architect Shubhanaga and Ian led us around the complex, showing us the external areas, the common facilities and one of the houses. Back at Mole, duly enthused, we broke into two groups to share our thoughts and feelings about the K1 project. There were a lot of things we found very positive, and some that we could learn from. Of the many positives the superb facilities of the common house (communal cooking and dining; kids’ room; shared laundry), the evidence of a vibrant community (residents out and about, positive community atmosphere, active notice boards, several working groups); and the design of the houses (comfortable, high sustainability, energy efficient, state-of the-art ventilation, plenty of light) were highlights. Interestingly, the discussions brought up many aspects that would need to be balanced. For instance, the design of the open gardens encourages a real feeling of community, but how might this impact the desire for privacy in your garden from time to time? 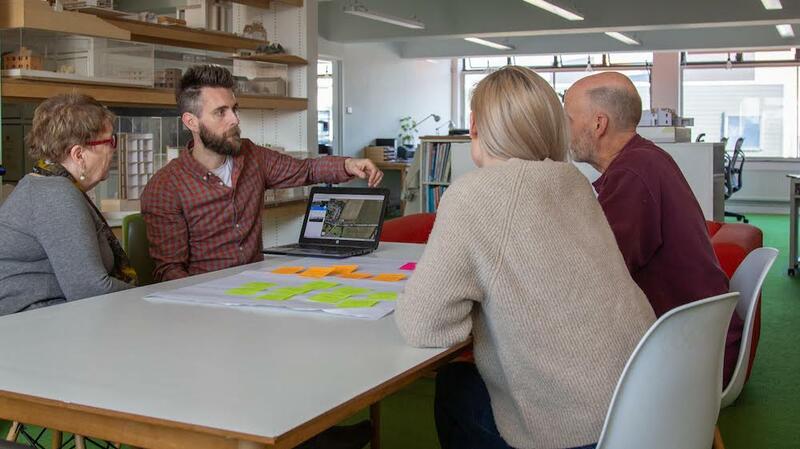 Equally, what is the balance between a modern look versus an urban/industrial design; a spacious versus cosy feel in the common house; or the desire to be part of the local community versus the need for security for children etc. Another interesting observation was how much our thinking has developed even in the short time that Suvana has been formed. There were many positives at K1 that we didn’t even mention (until we realised our error!) 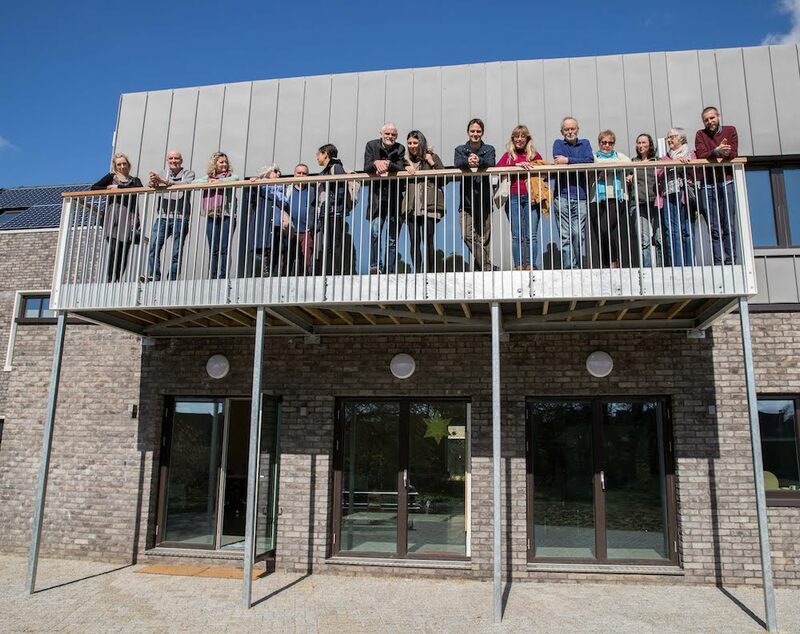 because we were already assuming that they were givens – things like car parking on the edge of the site; the ample covered bike parking, allotments and composting facilities; and the sustainable design. Following these interesting discussions, revived by a cup of tea (it was a long day! ), we explored some more practical issues, such as how service charges were managed; how the resale value of houses were impacted (or not) by a cohousing model; and what the legal framework for freehold/leasehold properties might be. And finally we had an update on the Board’s activities since the last meeting, which included working on a planning pre-application for a potential site and establishing ourselves as a legal entity (company limited by guarantee) so that we can have our own bank account etc.. There was also a recognition that we need to improve our communications for members, and a sub-group was formed to explore options. 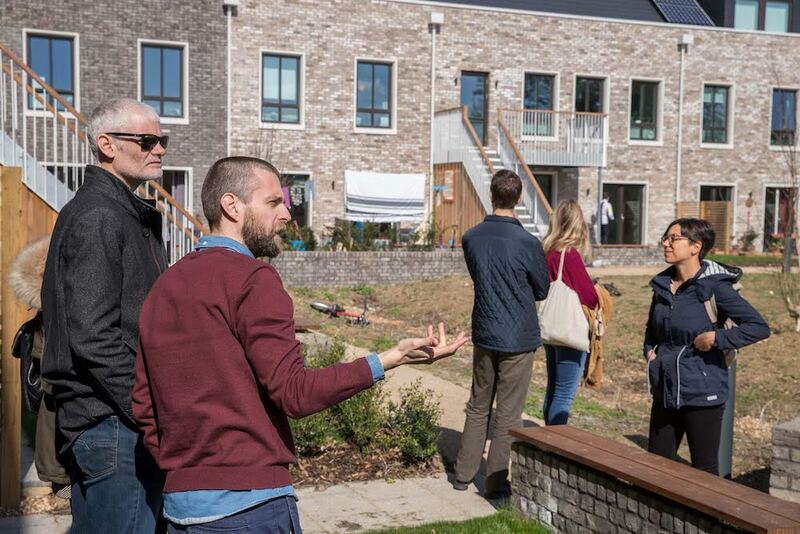 Huge thanks to Shubhanaga and Ian for the tour, residents of Marmalade Lane for hosting our visit and Mole Architects for hosting the workshop. It’s been an eventful week in the early life of our co-housing project. Firstly we heard from East Cambridgeshire Community Housing that we have been awarded a Community Housing Fund grant of £4,500! This is to help us with the initial stages of setting ourselves up as a legal body and some other start-up work. This is a vote of confidence in our project and makes the initial phase of the project much more feasible. 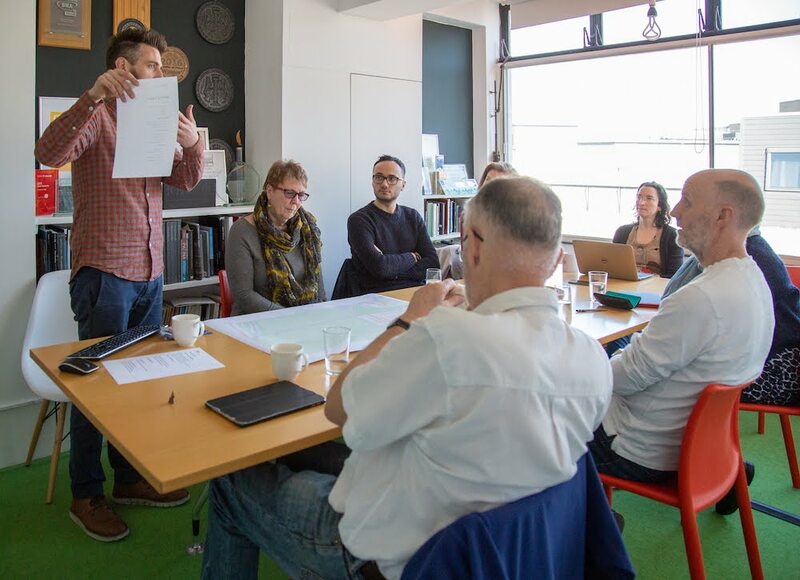 This news was fresh in our minds as eleven of us gathered for the day together at the offices of Mole Architects last Sunday. Shubhanaga kindly hosted us and ran an excellent workshop exploring several aspects of our plans. You can see some pictures from the day in this blog. The morning’s work focussed on a potential site on the western fringe of Cambridge that may become available at some stage. 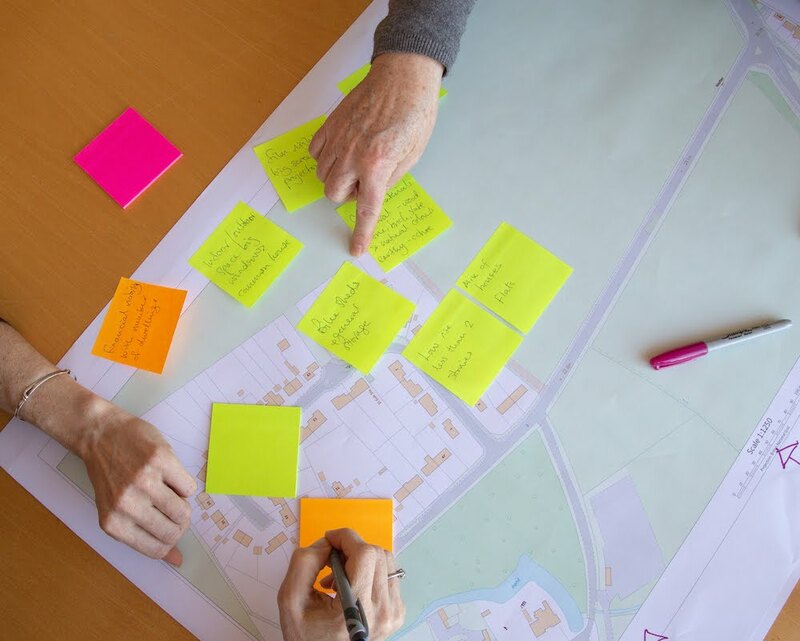 Although it is very much a long shot, as it is a greenfield site with some significant planning restrictions, it gave us the opportunity to explore our aspirations and values for our cohousing scheme with a real scenario, rather than a more abstract concept. We looked at what opportunities, concerns and problems we could see with the proposed site. This allowed us to explore issues such as location, transport links, proximity to noise and traffic, access to countryside etc. 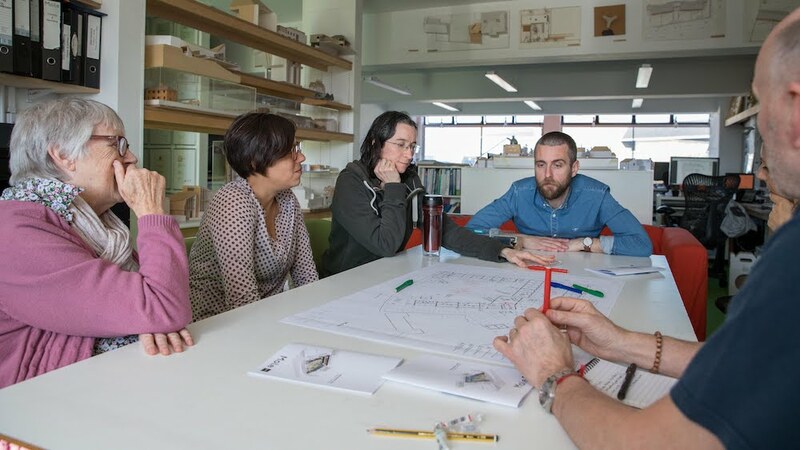 We then considered what we would like on the proposed site, in terms of housing (number, type etc); shared facilities (common house, bike sheds, workshops etc. ); common land (outdoor spaces, car parking, allotments etc.) and sustainability. Again, this opened some very interesting discussions on our priorities and concerns for the project. 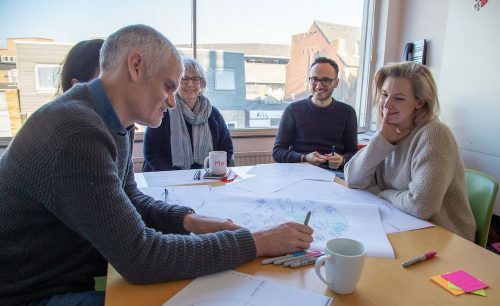 After a delicious shared lunch (eaten on the sun-kissed terrace roof outside the office) we then explored our values for the project as a whole. 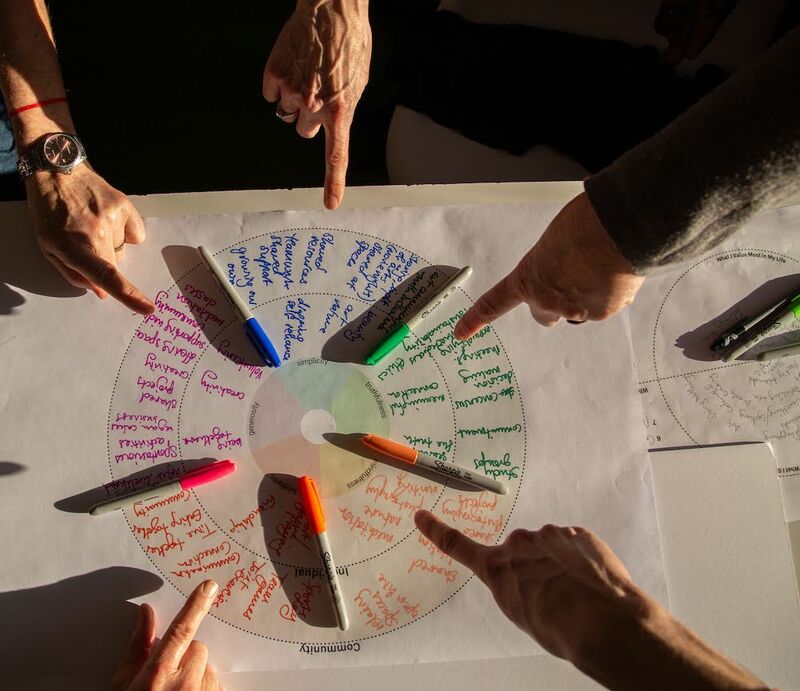 We created our own individual personal mandalas (what do we spend our time on vs what do we value most in our lives), and then extended this to explore how our proposed cohousing community could support these values and aspirations. Throughout the day we were expertly led by Shubhanaga, who guided us through our deliberations and encouraged us all to think deeply about what we wanted to achieve. This was done in a wonderful light-hearted and creative atmosphere, with everybody fully engaged, exemplifying the communal effort and open communication that we are fostering at Suvana. 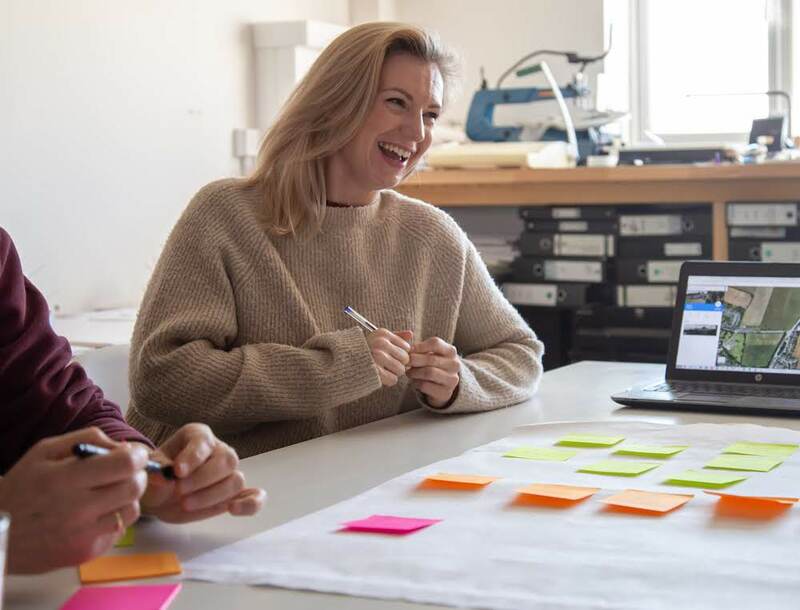 And what was so encouraging was just how in tune we all were, really sharing our core values in a way that bodes well for the future – it really felt like we were creating something special! 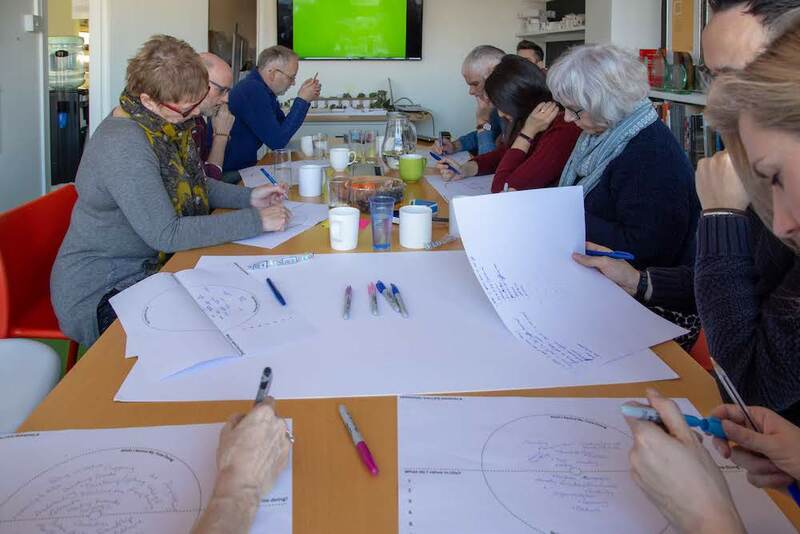 Speaking of which, the next workshop (for all Suvana members) will be held on Sunday, 24th March, when we will be looking in more detail at what we would want in terms of the shared facilities such as the common house. Hopefully this will be preceded by a visit to the K1, Marmalade Lane cohousing development in Orchard Park, so it is a date not to be missed – more details to follow nearer the time. It will be great to see as many members at this meeting, both to get your views and ideas, and to continue to build this wonderful sense of community. 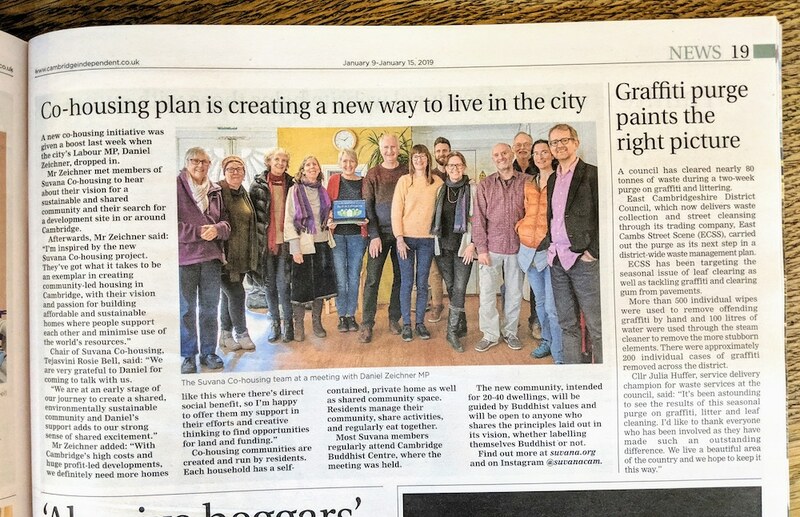 In the meantime, the steering group will be working to constitute Suvana Cohousing on a legal footing, begin creating a design brief for the potential site (incorporating a lot of the results of this workshop), and will start work on a high-level business plan. This will use data from the membership survey, of which we have had 16 respondents so far. 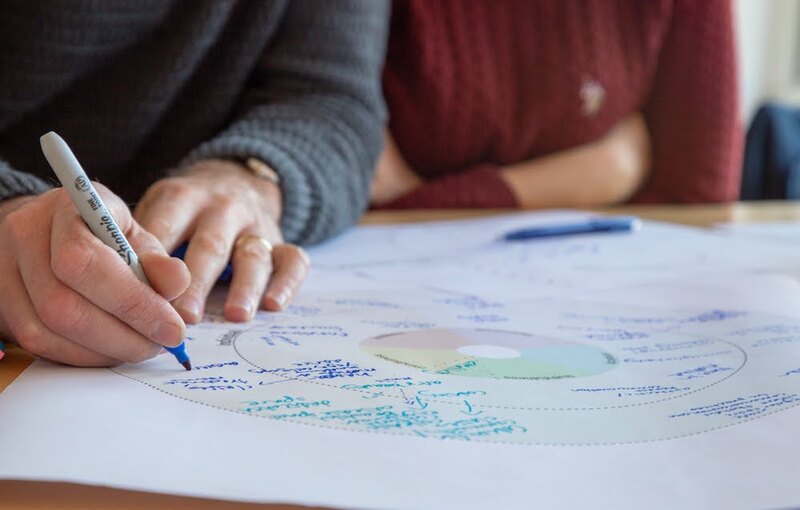 If you are a member (or would like to become a member) and haven’t completed the survey yet, then there is still time – it would be great to have your input. The story about Daniel Zeichner MP’s support has made it into the excellent local newspaper, the Cambridge Independent. You can read the article from the image below, or read the online version here. 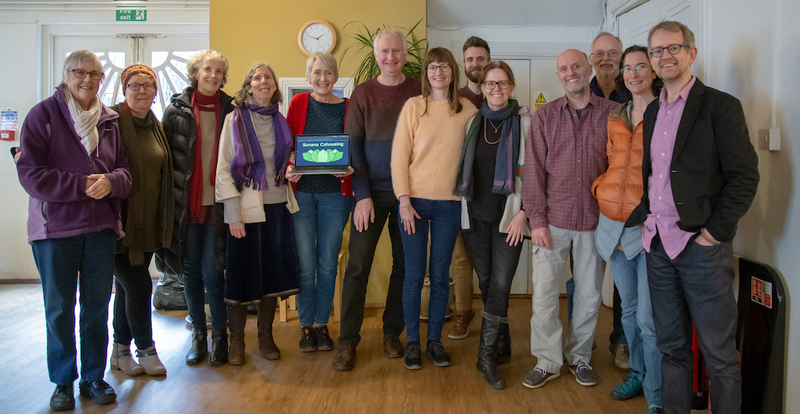 When members got together earlier this month, we spent an inspirational day taking small steps toward our vision for sustainable community living. 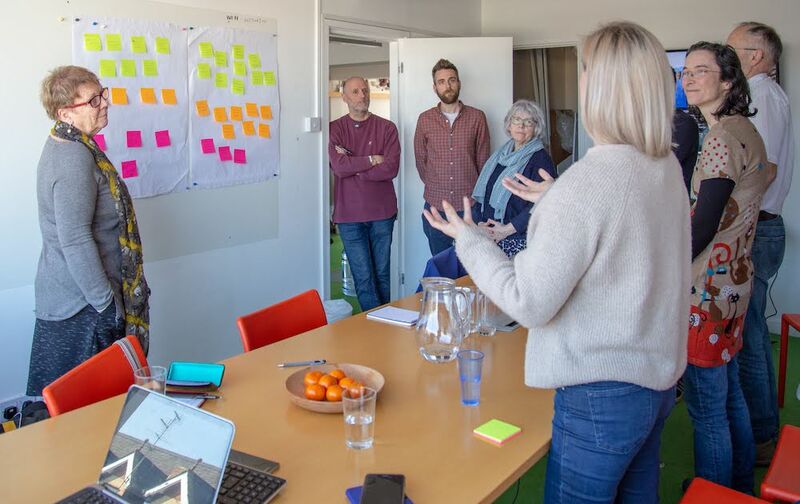 Firstly, as no doubt there will be numerous tricky decisions to make at each stage of the project, we enjoyed participating in a facilitated consensus decision making workshop. As a result we have the makings of a process where we are more likely to make wise decisions that we can all own. While relaxing together for lunch, we were delighted that Cambridge MP Daniel Zeichner was able to join us. It was a fascinating discussion and we found him to be very supportive of our project! 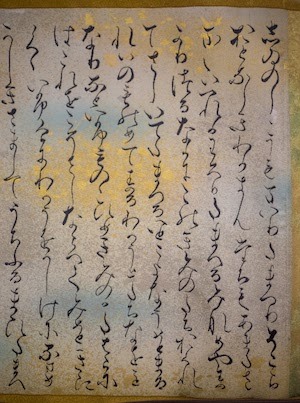 Watch out for more detail on this in the next blog post. The afternoon was led by board member Shubhanaga, with a presentation and discussion to help us develop a brief. 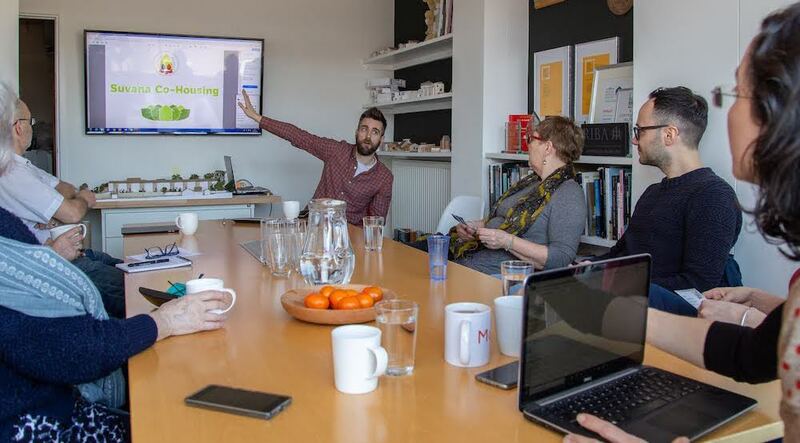 Building on our Vision, we explored what stage we are at on the cohousing journey, potential cohousing models, the market context, finding a site, the planning context, dwelling sizes, affordability, values, sustainability and shared facilities. There are many issues to take forward, and since the meeting we have produced a survey covering all the above (and more!) and sent it to all current members. Some members during part of the recent day together. 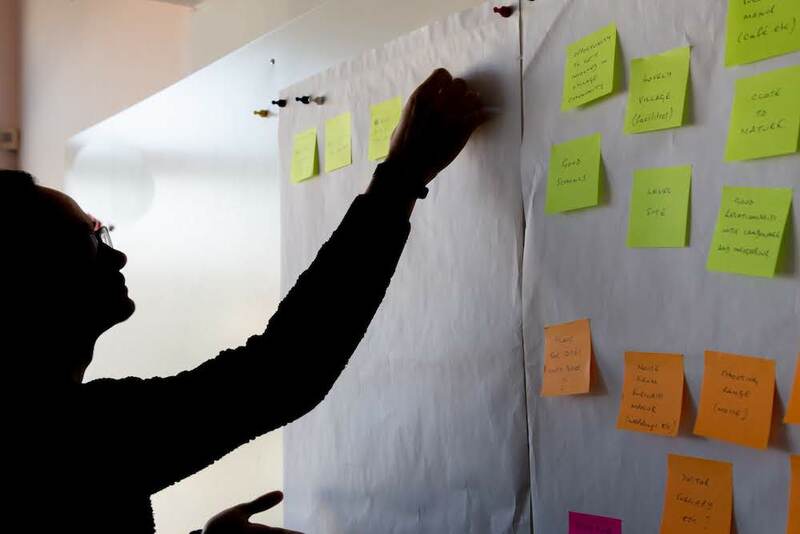 This will help us to demonstrate our collective needs and vision for the community at this stage, and inform how to best use the three workshops that we have fixed dates for in the coming weeks. It will be fascinating to see the results, which will be analysed and reported back to members in January. There remains a strong sense of shared excitement about the potential for our community. If you’d like to join us, there is no obligation to commit to anything, but we will send you a survey and invite you to our lovely meetings. 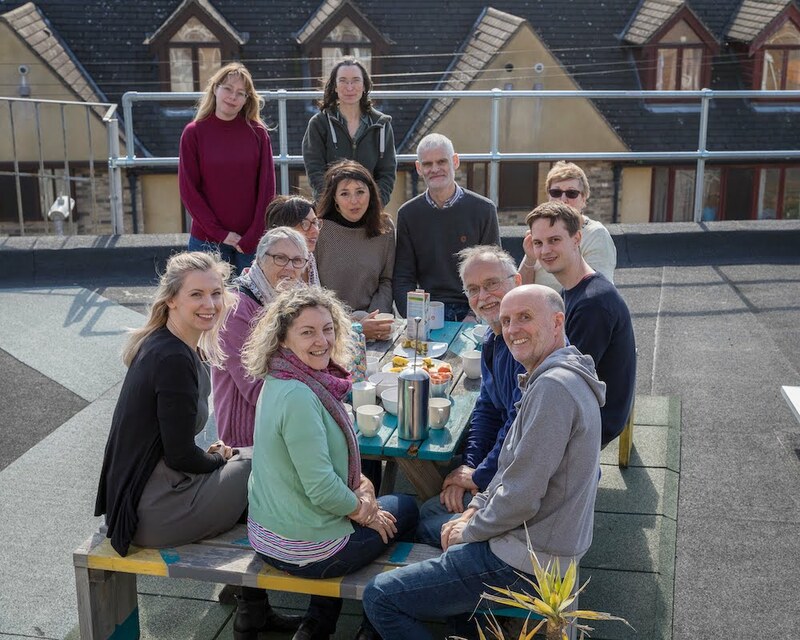 Welcome to Suvana Cohousing and our new website! Although this project is still new, things are starting to move along quickly and we’ll keep you up to date on this blog. 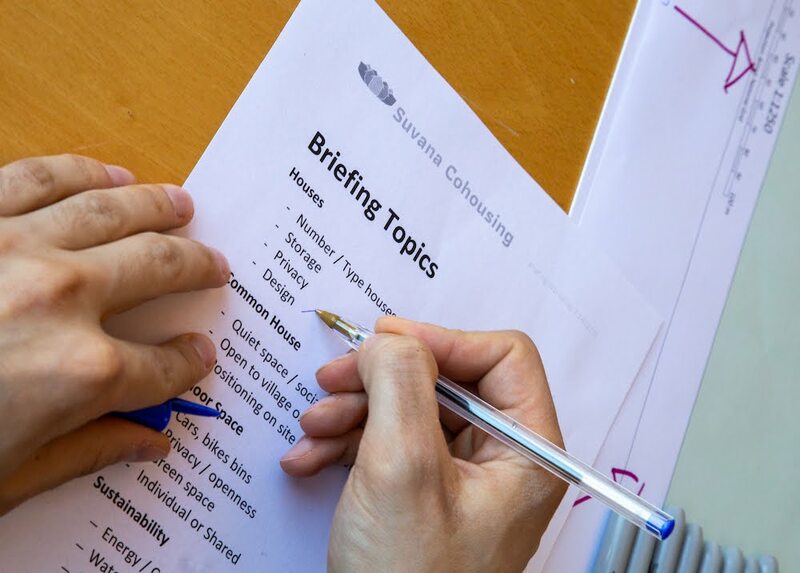 In recent weeks we’ve finalised our draft vision, formed our Board, welcomed 20 members to our new membership scheme and had various meetings with experts. 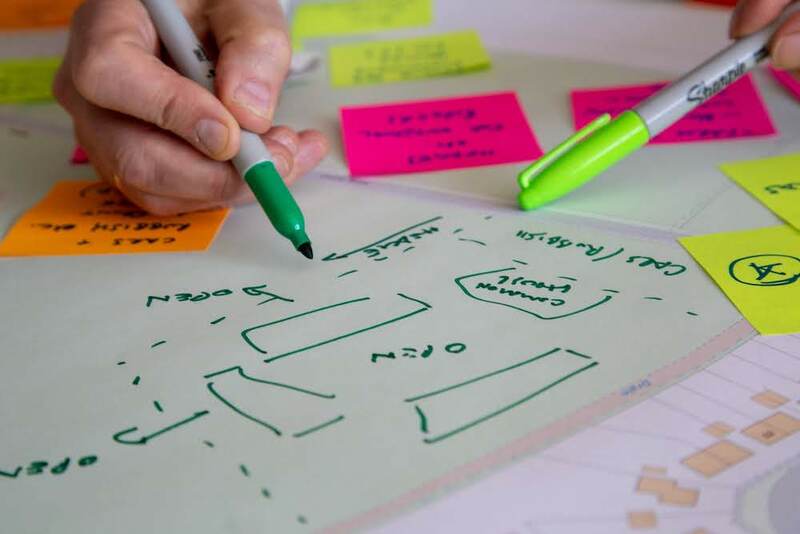 Board members met recently with the Cambridgeshire community housing officer and she is preparing a scoping report, on the basis of which we are very hopeful to receive a grant to pay for things like our legal structure, and then we can look more seriously for sites! On 9th December we will all meet for a workshop, and look forward to Daniel Zeichner MP joining us for lunch. 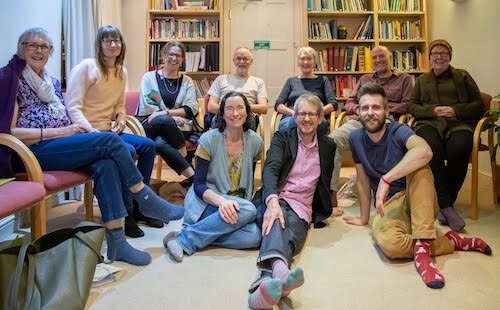 We are very excited about building this cohousing Sangha! Please keep checking back here for news, and if you want more detailed updates and to be involved we’d love it if you joined us.